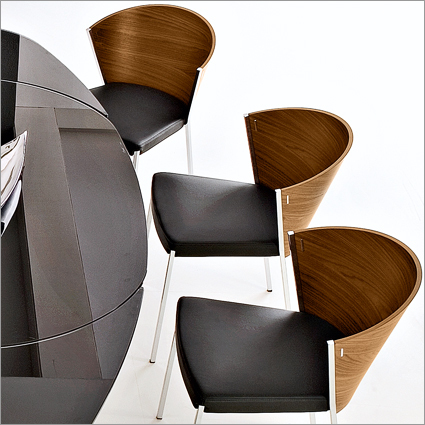 Calligaris Mya Dining Chairs makes an impression with its original design and elegant contours. 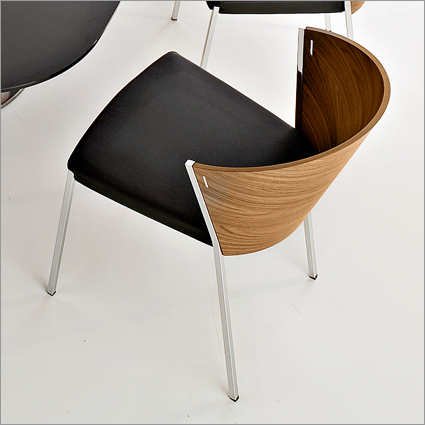 The curved wooden back and padded leather seat deliver a great support and comfort. 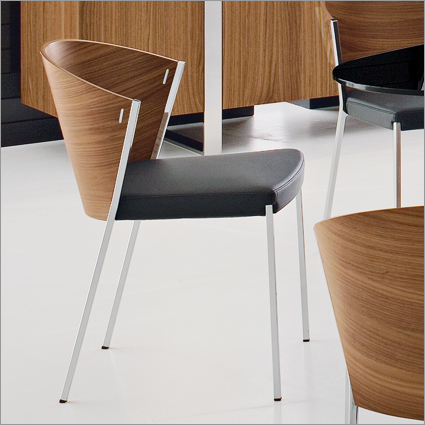 Versatile enough to look fantastic with virtually any interior decor, from contemporary to traditional. Made in Italy.